Hand Cut, Hand Polished Russian Formula Cubic Zirconia! 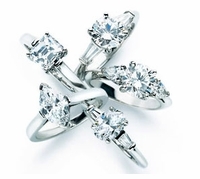 Ziamond is well known as a leader in the man made diamond simulant Cubic Zirconia and man made gem industry. Ziamond became the best at what we do because we utilize only the finest labratory created Russian formula diamond qaulity cubic zirconia and we generate the finest rough boules of the highest quality cz materials. Our rough materials are contracted out to regional diamond cutting facilities world wide so the Ziamond rough material can be hand cut and hand polished by discerning diamond cutters to exact gemological genuine mined diamond standards. 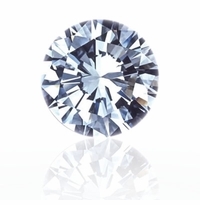 Once cut and polished by skilled diamond cutters, our cubic zirconia diamond simulant stones will display and exhibit qualities of fine diamonds in color, cut and clarity, unrivaled by any other cubic zirconia. Once Ziamond Cubic Zirconia stones have been cut to our detailed standards, they move on to be set into fine diamond quality jewelry mountings, the same jewelry mountings used to set diamonds, are utilized by Ziamond. In many cases our designs are even finer than some diamond jewelry you find commercially available. All our diamond quality cubic zirconia stones and man made gems are expertly set into each design by our skilled jewelers that have decades of experience in the fine diamond jewelry industry. Many of Ziamond's jewelers are former artisans from some of the finest diamond jewelry companies in the world. All the steps we take to create our diamond look stones and jewelry ensure that our customers will receive the finest quality finished piece of Ziamond cubic zirconia jewelry that will rival any piece of fine diamond jewelry.